This week's charts, with data taken from August 18th, 2011, find Tomb Raider Trilogy and Ocarina of Time 3D heading domestic multiplatform sales, while Xenoblade Chronicles goes up against Zumba Fitness in the UK. North America: 1. LittleBigPlanet Game of the Year Bundle (SCEA, PS3), 2. Tomb Raider Trilogy (Eidos, PS3), 3. Just Dance 2 (Ubisoft, Wii), 4. The Legend of Zelda: Ocarina of Time 3D (Nintendo, 3DS), 5. Zumba Fitness (Majesco, Wii). Japan: 1. Zelda no Densetsu: Toki no Ocarina (Nintendo, 3DS), 2. Minna no Rhythm Tengoku (Nintendo, Wii), 3. Chou Jigen Game Neptune Mk-II - Limited Edition (Compile Heart, PS3), 4. Uta no * Prince-Sama: Repeat (Broccoli, PSP), 5. Atsumete! Kirby (Nintendo, DS). UK: 1. Zumba Fitness (505 Games, Wii), 2. The Sims 3: Generations (EA Games, PC), 3. The Legend of Zelda: Ocarina of Time 3D (Nintendo, 3DS), 4. Xenoblade Chronicles (Nintendo, Wii), 5. Just Dance 2 (Ubisoft, Wii). A pair of price-dropped PlayStation 3 software bundles lead this week's domestic multiplatform sales charts at Amazon, while Just Dance 2 remains a strong seller at third place. Nintendo's 3DS Ocarina of Time remake climbs the Japanese charts to overtake Minna no Rhythm Tengoku, as newcomer Xenoblade Chronicles challenges longtime sales leader Zumba Fitness in the UK. North America: 1. Just Dance 2 (Ubisoft), 2. Zumba Fitness (Majesco), 3. Epic Mickey (Disney), 4. New Super Mario Bros. Wii (Nintendo), 5. Donkey Kong Country Returns (Nintendo). Japan: 1. Minna no Rhythm Tengoku (Nintendo), 2. Epic Mickey (Nintendo), 3. Wii Remote Plus Variety Pack (Nintendo), 4. Mario Kart Wii (Nintendo), 5. Wii Fit Plus with Balance Board (Nintendo). UK: 1. Zumba Fitness (505 Games), 2. Xenoblade Chronicles (Nintendo), 3. Just Dance 2 (Ubisoft), 4. Wii Fit Plus with Balance Board (Nintendo), 5. Lego Harry Potter: Years 1-4 (Warner Bros). Epic Mickey and Donkey Kong Country Returns see renewed popularity stateside thanks to a recent Amazon sale, while Monolith Soft's RPG Xenoblade Chronicles makes an impressive showing in its first week of release in Europe. North America: 1. Call of Duty: Black Ops (Activision), 2. Halo Reach (Microsoft), 3. Kinect Sports (Microsoft), 4. NCAA Football 12 (EA Sports), 5. Mortal Kombat (Warner Bros). Japan: 1. Tropico 3 (Russell), 2. Steins;Gate: Hiyoku Renri no Darling (5pb), 3. Steins;Gate (5pb), 4. Assassin's Creed: Brotherhood (Ubisoft), 5. Battlefield: Bad Company 2 Ultimate Edition (EA Games). UK: 1. Call of Duty: Black Ops (Activision), 2. Battlefield: Bad Company 2 (EA Games), 3. L.A. Noire (Rockstar), 4. Halo Reach (Microsoft), 5. Lego Star Wars III: The Clone Wars (LucasArts). Call of Duty: Black Ops and Halo Reach remain the Xbox 360's biggest sellers for the second week in a row in North America, as EA's Battlefield: Bad Company 2 returns to the console's top five in the UK and Japan. North America: 1. LittleBigPlanet Game of the Year Bundle (SCEA), 2. Tomb Raider Trilogy (Eidos), 3. No More Heroes: Heroes' Paradise (Konami), 4. EA Sports MMA (EA Sports), 5. Mortal Kombat (Warner Bros). Japan: 1. Chou Jigen Game Neptune Mk-II - Limited Edition (Compile Heart), 2. Uncharted (SCEI), 3. Jikkyou Powerful Pro Yakyuu 2011 (Konami), 4. No More Heroes: Red Zone Edition (Marvelous), 5. Chou Jigen Game Neptune Mk-II (Compile Heart). UK: 1. L.A. Noire (Rockstar), 2. Mortal Kombat (Warner Bros), 3. 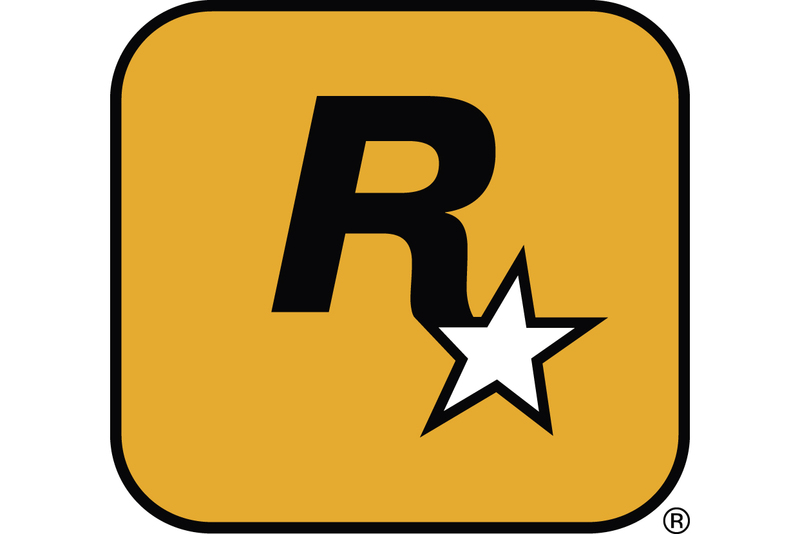 Red Dead Redemption (Rockstar), 4. Call of Duty: Black Ops (Activision), 5. Dirt 3 (Codemasters). While a DualShock 3-bundled LittleBigPlanet, a three-game Tomb Raider compilation, and the No More Heroes remake Heroes' Paradise top domestic PS3 software sales, the Hyperdimension Neptunia sequel Chou Jigen Game Neptune Mk-II heads the Japanese charts in its premiere week. North America: 1. The Sims 3: Generations (EA Games), 2. Starcraft II: Wings of Liberty (Blizzard), 3. Flight Simulator X: Gold Edition (Microsoft), 4. Final Fantasy XI: Ultimate Collection Abyssea Edition (Square Enix), 5. The Sims 3 (EA Games). Japan: 1. Monster Hunter Frontier Online Forward.2 - Premium Package Collector's Edition (E Frontier), 2. Monster Hunter Frontier Online Anniversary 2011 (E Frontier), 3. Monster Hunter Frontier Online Forward.2 - Premium Package (E Frontier), 4. Tera (E Frontier), 5. Final Fantasy XIV (Square Enix). UK: 1. The Sims 3: Generations (EA Games), 2. The Sims 3 (EA Games), 3. The Sims 3: Town Life Stuff (EA Games), 4. World of Warcraft: Cataclysm (Blizzard), 5. The SIms 3: Late Night (EA Games). EA's Sims 3 expansion pack Generations heads this week PC chart results in North America and the UK, while a trio of Monster Hunter releases outsell last week's sales leader Tera in Japan. North America: 1. The Legend of Zelda: Ocarina of Time 3D (Nintendo), 2. Ridge Racer 3D (Namco Bandai), 3. Super Street Fighter IV: 3D Edition (Capcom), 4. Dead or Alive Dimensions (Tecmo), 5. Lego Star Wars III: The Clone Wars (LucasArts). Japan: 1. Zelda no Densetsu: Toki no Ocarina 3D (Nintendo), 2. Super Pokemon Rumble (Nintendo), 3. Starfox 64 3D (Nintendo), 4. Tales of the Abyss (Namco Bandai), 5. One Piece Unlimited Cruise SP (Namco Bandai). UK: 1. The Legend of Zelda: Ocarina of Time 3D (Nintendo), 2. Nintendogs + Cats: Golden Retriever & New Friends (Nintendo), 3. Rayman 3D (Ubisoft), 4. Rabbids 3D (Ubisoft), 5. Puzzle Bobble Universe (Square Enix). The Legend of Zelda: Ocarina of Time 3D maintains its sales lead in all regions this week, fending off competition from Super Pokemon Rumble, Ridge Racer 3D, and Super Street Fighter IV: 3D Edition. North America: 1. New Super Mario Bros. (Nintendo), 2. Professor Layton and the Curious Village (Nintendo), 3. Professor Layton and the Diabolical Box (Nintendo), 4. Chrono Trigger (Square Enix), 5. The World Ends With You (Square Enix). Japan: 1. Atsumete! Kirby (Nintendo), 2. Battle & Get: Pokemon Typing DS (Nintendo), 3. Pocket Monsters Black (Nintendo), 4. Pocket Monsters White (Nintendo), 5. All Kamen Rider: Rider Generation (Namco Bandai). UK: 1. Let's Draw! (Majesco), 2. New Super Mario Bros (Nintendo), 3. Cars (Disney), 4. Pokemon White Version (Nintendo), 5. Pokemon Black Version (Nintendo). A recent round of Amazon price drops puts Chrono Trigger, The World Ends With You, and a pair of Professor Layton titles among this week's biggest-selling DS titles stateside, as Nintendo's Atsumete! Kirby spends its second week at the top of the charts in Japan. North America: 1. Tactics Ogre: Let Us Cling Together (Square Enix), 2. Kingdom Hearts: Birth by Sleep (Square Enix), 3. Dissidia 012: Duodecim Final Fantasy (Square Enix), 4. Final Fantasy IV: The Complete Collection (Square Enix), 5. The Legend of Heroes: Trails in the Sky - Limited Edition (Xseed). Japan: 1. Uta no * Prince-Sama: Repeat (Broccoli), 2. Uta no * Prince-Sama: Sweet Serenade (Broccoli), 3. Amnesia (Idea Factory), 4. Uta no * Prince-Sama: Amazing Aria (Broccoli), 5. MonHun Nikki: Poka Poka Ailu Mura G (Capcom). UK: 1. FIFA 11 (EA Sports), 2. Dissidia 012: Duodecim Final Fantasy - Legacy Edition (Square Enix), 3. Lego Harry Potter: Years 1-4 (Warner Bros), 4. Lego Pirates of the Caribbean (Disney), 5. Final Fantasy IV: The Complete Collection (Square Enix). Price-dropped Square Enix titles continue to head the domestic PSP charts, and a new Uta no * Prince-Sama sequel spurs franchise sales for publisher Broccoli in Japan.